JALALABAD: About 130km by road from Peshawar, the largest city in eastern Afghanistan is a scaled-down version of the Khyber Pakhtunkhwa capital minus its upscale neighbourhoods. Pashtun-dominated, chaotic, dusty and a regional hub of trade and commerce, the hustle and bustle of Jalalabad is an important indicator of stability in Afghanistan’s east. A glance at a map explains why: Nangarhar province, of which Jalalabad city is the capital, is squeezed between Kunar to the north, Paktia and Khost to the south, and Kabul to the west. As a barometer of stability in eastern Afghanistan, Jalalabad appears to be doing fairly well. A phased transition has seen Afghan forces take over much of the responsibility for security in Nangarhar province from US forces. The most obvious danger today on the smooth, two-lane main road from Torkham to Jalalabad is Afghan drivers, who drive at high speed and regard overtaking as an old-fashioned duel. 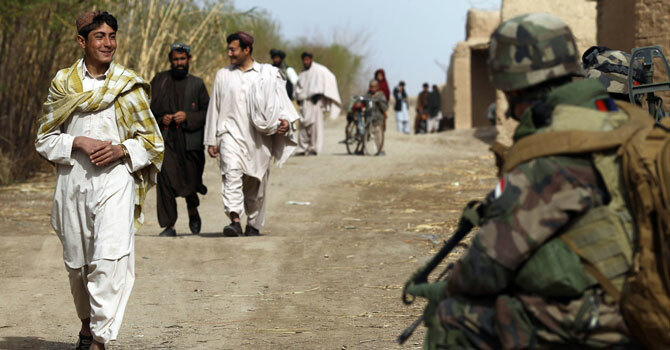 “The security situation has improved a lot,” said Fazal Hadi Muslimyar, chairman of the Afghan Senate and a native of Jalalabad, citing the relative stability Afghan forces have maintained in eastern Afghanistan in areas handed over to their control by foreign troops. The chairman of the Mishrano Jirga, the Afghan term for senate, was also upbeat about the future, arguing that the Afghan forces are developing the capacity to ensure that eastern Afghanistan will not fall to the Taliban once international forces wind down their combat operations. But the optimism of government officials was quickly challenged by locals, who travel without the luxury of security escorts and bullet-proof vehicles. Another Nangarhar resident who spoke on the condition of anonymity because he works for an international organisation claimed that most of Nangarhar’s rural districts are under the virtual control of the Taliban. “The government’s writ is restricted to their offices only,” the resident said. In the murky world of contacts between the Afghan government and the Taliban, details can be difficult to pin down. But in Jalalabad, several government officials were adamant that the lines of communication are open and often used. “Contacts have been established at various levels,” said Muslimyar, adding that meetings between government officials and Taliban leaders have taken place both inside Afghanistan and abroad. Other senior government leaders speaking on the condition of anonymity claimed that several Taliban commanders travel abroad regularly to meet Afghan and American officials. The recent Haj in Saudi Arabia provided convenient cover for the latest round of meetings. An Afghan leader speaking on the condition of anonymity described a “chance interaction” with senior Taliban leaders in Masjid-i-Nabvi, Medina, that went on for several hours and during which the Taliban insurgency and the government’s peace efforts came under discussion. The official named two of the Taliban leaders present at the meeting: the former Information and Culture Minister Ameer Khan Muttaqqi and a senior military commander, Mullah Abdul Qayyum Zakir. Once a prisoner in Guantanamo Bay, Zakir is believed to be the current deputy to Mullah Omar, a position previously held by Mullah Abdul Ghani Baradar until his arrest in Karachi. Describing the talks in Medina with Muttaqqi and Zakir, among others, the Afghan official suggested that the Taliban seemed inclined to fight on. 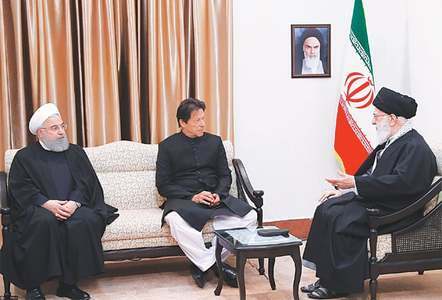 “What I gathered from their discussion is they are not ready to negotiate peace at the moment,” the official said, adding that Zakir, the military commander, took a tougher line compared to Muttaqqi, an experienced politician. The Afghan official’s pessimism about reconciliation was reinforced by the Taliban leaders’ claim that they are determined to eliminate several jihadi commanders from the Soviet era who are part of the Afghan government today. The Taliban leaders at the Medina meeting were particularly incensed with one such official in Kabul – whose name has been withheld at the request of the Afghan official describing the talks– blaming him for giving a speech against the Taliban that, the Taliban alleged, led to the desertion of several dozen suicide bombers from a training camp. Between the real, though uneven, gains of the past decade and the uncertainty over the future, hope fluctuates wildly in this eastern city – as do the reasons for hope. At Nangarhar University, on the outskirts of Jalalabad, the chancellor, Dr Sabir Momand, outlined his reasons for optimism. “All Afghans, including the Taliban and the mujahideen, are tired of fighting,” Dr Momand said, arguing that war-weariness was a huge motivation for peace and that once foreign troops departed, the Taliban would not necessarily want to keep fighting. Back in Jalalabad, in a unique street off the city’s main bazaar, a very different theory of hope was mooted. Turbaned Sikhs selling herbal medicines – the last few holdouts of a centuries’ old community that has gradually abandoned the city – argued that they were better off under the present political dispensation. “The situation has improved a lot for the minorities,” said Iqbal Singh. According to Singh, the main improvement over the years of warlordism and Taliban rule is that the iron-fisted rule of a single individual over an area had been replaced with a number of people the community can go to for assistance: government officials at various tiers and even parliamentarians. Future stability, though, for Iqbal Singh depends on the continued presence of international troops in Afghanistan. And that’s why Singh and his fellow Sikhs in Jalalabad are wary of what may come next. “We hear that (the international forces) are leaving by 2014 and fear that the Taliban will stage a comeback,” Singh said. According to this article Jalalabad is more safer than the city of Peshawar that means that the policies of the current administration in Kabul are working. The Pakistan government has to come with some solution for their side of Taliban. That public official's name is Abdul Rasool Sayyaf. If pakistan does not support Taliban for strategic depth then they will not comeback. Lets see its all in hands of Pakistan.